If you own or manage a commercial facility, you probably know that tenant improvement (TI) construction is becoming more and more popular. TI renovations and additions are taking place across office buildings and apartment complexes at a growing rate. If you haven’t heard the term before, tenant improvement construction consists of the alterations a building owner makes to a space to better suit the needs of the tenants. There are several factors impacting the increase in TI work ranging from a changing workforce to advancements in technology. With millennials taking up a larger portion of the workforce, companies are making changes to their offices to cater to the preferences of younger employees. Trends include more flexible and collaborative environments, amenities, and advanced technology. Individual work stations are getting downsized to make room for open, multi-purpose spaces. In addition, businesses are adding amenities ranging from gyms and coffee shops, to break rooms that resemble cafés. It’s a competitive season for landlords and property managers across office buildings and apartment complexes. Buildings with the amenities tenants want are experiencing the lowest vacancy rates in the market. This is driving facility owners to look for tenant improvement opportunities. Tenant improvement changes are often aesthetic. Aesthetic changes include implementing things like exposed ceilings, better lighting, or new flooring. But, TI changes can also be more about the actual comfort of the building. These changes might include increased temperature controls, improved air quality, and more natural lighting. The construction industry as a whole has been working towards making the construction process more sustainable. In addition, new systems are being installed to make the building themselves more environmentally friendly. This includes solar panels, geothermal wells, and energy-efficient construction materials. Facilities are also installing advanced building automation controls for their lighting and HVAC. Building controls technology can greatly impact the energy efficiency of a facility. 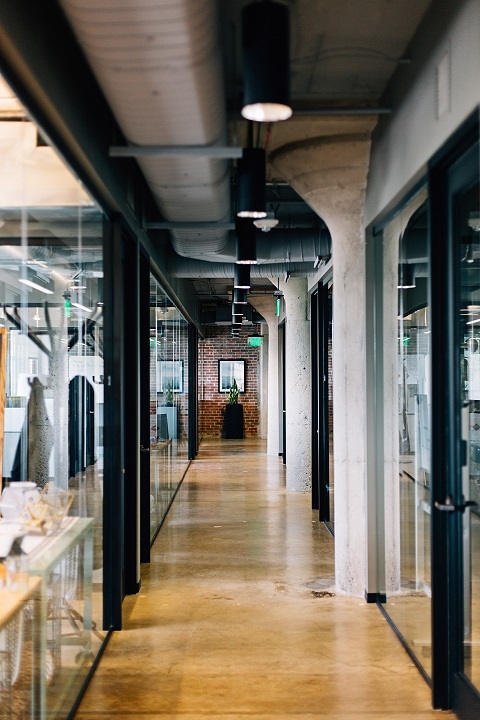 With a growing number of businesses and consumers prioritizing sustainability, energy efficient construction changes are becoming another tenant improvement trend.